I continue to hear people, empowered by conspiratorialists like Alex Jones, claim that ISIL, ISIS or whatever name you choose for the Islamic State, is merely a fabrication of the CIA/Mossad, and that the terror they are accused of spreading, only serves to falsely demonize Muslims. But what about the beheadings? Crisis actors. Yes, that’s correct, they insist that the dead journalists were just part of the illusion. And these same conspiratorialists believe that the U.S. government in consort with Israel, plotted and perpetrated 9/11 and that they, are the greatest dangers to worldwide freedom. Now, if you believe or are entertaining such a belief, I’d like to know if you’ve ever taken the time to listen to the words of Osama bin Laden one month after the collapse of the Twin Towers. In this interview, bin Laden not only proudly claimed responsibility for the attacks on New York and Washington, but he openly shared his motivations for masterminding this nefarious plan? However, the conspiratorialists are not easily fooled. 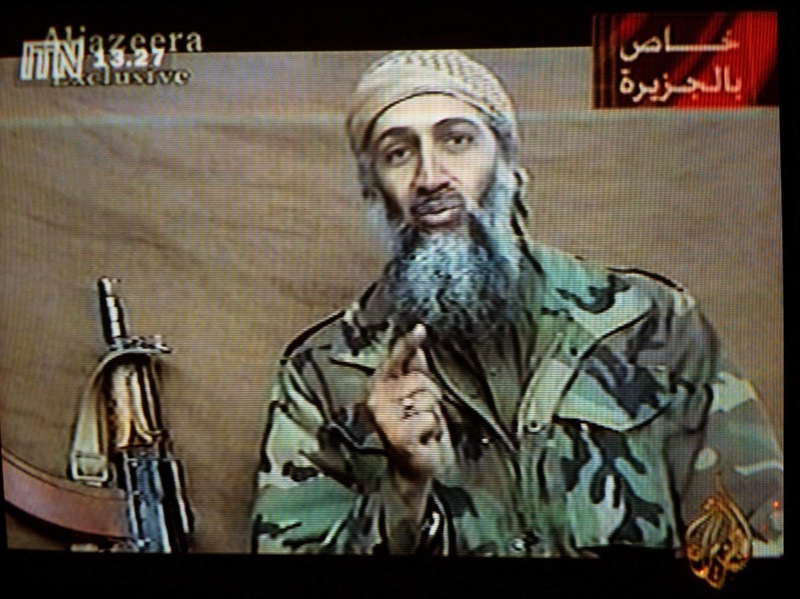 They insist that bin Laden was a mere CIA asset and that he’s simply part of the charade. I’d like to challenge you to listen carefully to bin Laden, as he clearly enunciates the fact that he is not a pawn of the west, and has only and always represented the interests of Islam. If you think this is a vaudeville act, then you will have no trouble believing just about anything. Why was America attacked on 9/11? Bin Laden states a number of reasons, one being the U.S. backing of Israel as they’ve treated the Palestinians with contempt. But the bottom line is that bin Laden was no a patsy. Most people won’t watch the interviews, but they will continue to repeat the mantra, “9/11 was an inside job” and then begin to turn reason on its ear. *Addendum. All of the videos (posted at the time of this blog article) of the bin Laden interview have been removed by YouTube. But even after watching those videos which went into great detail explaining bin Laden’s motivation perpetrating the attacks, few conspiratorialists will believe him. They will either say that he was part of the false flag CIA-planned attack or that he was scapegoated. Following is a nightly news report with bin Laden boldly proclaiming his motivations. Clearly not as thorough as the lengthy interview but nonetheless clear.